In line with this principle; the regulator, the developer and all investors of Thilawa SEZ have committed Thilawa SEZ as a corruption-free zone in Myanmar. In August 2015, the Thilawa SEZ Management Committee (TSMC) , regulator of Thilawa SEZ, issued Notice No. 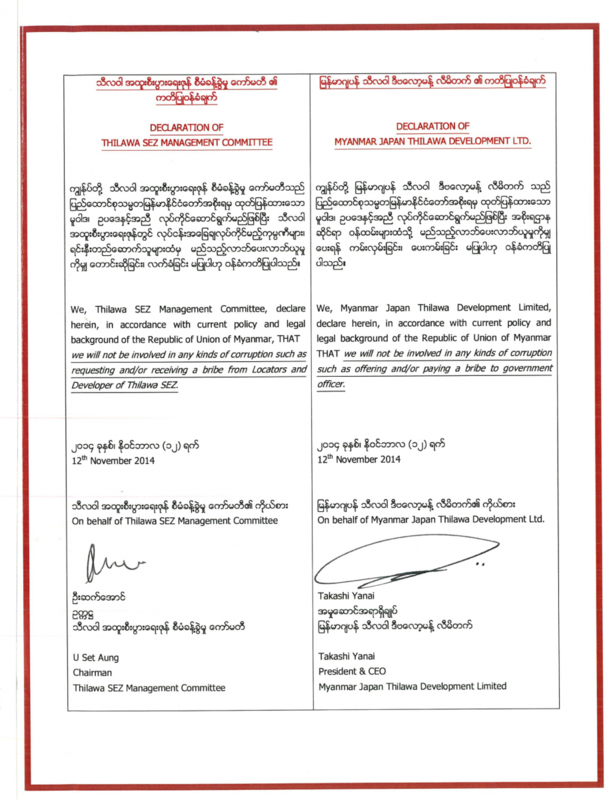 04/2015 Notice to Ensure the Responsible Investment in the Thilawa SEZ. In May 2016, the TSMC issued a Notice to Investors or Locators regarding the Anti-Corruption Declaration.